Connectivity & Collaboration. Efficiency for Technical Documents. Technical printers offer advanced printing, copying, and scanning capabilities that architectural, engineering, and construction (AEC); computer aided design (CAD); and graphic information system (GIS) markets demand. To help users collaborate and share documents with customers and coworkers, newer multifunction printers (MFPs) are designed with advanced connectivity options that utilize smartphones and tablets. While digital solutions like tablets and mobile devices are available, printed output helps industries accurately view the details of technical documents. This is further enhanced with color output. Not only do users want to print color in large format, they also seek solutions to copy and scan large format work, especially to speed collaboration workflows. “The percentage of MFPs as a proportion of the total has been growing steadily over the last years,” shares Xavier Juarez, strategic marketing manager, HP DesignJet and PageWide XL Printers. Traditional technical printer functions—copy, print, and scan—greatly benefit AEC, CAD, and GIS markets, but are further improved to provide more collaboration. 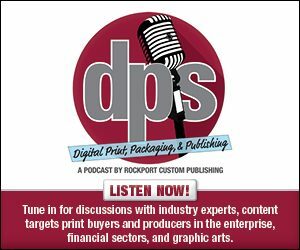 A major advancement in the latest releases of technical document printers and MFPs is new connectivity options. As more customers in the technical space utilize smartphones and tablets, the need for printers that support WiFi to connect and print directly increases, reveals Kochanowski. “The AEC workforce is mobile, with different stakeholders constantly moving between meetings at the construction site or client offices,” agrees Jaurez. As a result, large format printer manufacturers add mobile printing features to their offerings, like scanning capabilities from a smartphone. Increased connectivity also creates the need for enhanced security with cyber threats growing rapidly and IT managers working to protect networks. Because large format printers are an essential part of these networks, Juarez says customers want to protect the confidentiality of the data sent to them as well as the device as a network element. Aside from connectivity and security concerns, technical printers are improving in industrial design as customers move away from designated print rooms into quiet office environments. With the continued trend of decentralization, demands stem from users generating prints in the same way a cutsheet network copier does. “This has led to improvements in industrial design, not only in user interaction for typical printing, copying, and scanning as well as routine maintenance such as adding media and toner but also with respect to environmental considerations so the device blends into its environment,” explains Honn. To integrate into an office, the technical printer must be quiet, have low energy and wiring requirements, and not give off excess heat or other emissions. Several vendors offer printing solutions for technical professionals. Canon Solutions America offers the Océ ColorWave 3500 and Océ PlotWave 345/365 and 450/550 systems for AEC, CAD, GIS, and manufacturing. The devices feature print, copy, and scan capabilities for technical documents. The Océ ColorWave 3500 prints up to 42 inches wide and holds up to four media rolls. Utilizing Océ TonerPearls toner, it produces 225 D-sized monochrome and color prints per hour. Océ PlotWave systems print up to 36 inches wide with single or optional dual roll media capability up to 650 feet per roll. Its integrated top delivery tray neatly collates and stacks up to 50 E-size plots while the cloud integrated workflow option scans to and prints from the cloud. According to Honn, both systems stand out from the competition with patented technology, including Océ Crystal Point, Océ Radiant Fusing, Océ Scan, Image Logic, and Océ POWERsync controllers. The Epson SureColor T3170 marks Epson’s expansion of the T-Series product line to the low- to mid-range CAD printer market. The 24-inch wireless printer features an all-new clean and compact design coupled with Epson’s technical printer solutions. It benefits professionals across several segments, including architecture, engineering, CAD, GIS, education, corporate, home, and small office settings. The SureColor T3170 leverages Epson’s PrecisionCore MicroTFP printhead technology and Nozzle Verification Technology to automatically detect and adjust nozzle condition while producing accurate A1/D-size prints in 34 seconds. “Featuring integrated wireless and WiFi Direct Connectivity, architects and designers seamlessly print from tablets and smartphones virtually anywhere in the office or use the 4.3-inch LCD color touchscreen with simple and intuitive menu control and navigation,” says Kochanowski. It is available for $995. The HP PageWide XL 4100 and 4600 print up to 40 inches wide at speeds of ten A1/D-size prints per minute (ppm) and 15 A1/D-size ppm. The device features high-speed monochrome and color printing with the ability to input four print rolls, each up to 650 feet by 200 meters long. The HP PageWide XL 4100 and 4600 devices are intended for volumes up to 10,000 square feet per month for AEC, GIS, and manufacturing markets. It also includes a 100-page capacity integrated output stacker, embedded Adobe PDF print engine, seamless job submission with HP click, and advanced accounting and cost control with HP SmartTracker. “It’s the fastest color printer in the market for high-volume departments,” comments Juarez. The KIP 800 Color Series is designed for technical, graphic, and office document users with a range of printing tasks from AEC to maps, posters, and signs. The system’s workflow provides control with print submission applications, cloud printing, scan and copy, variable data printing, and fully integrated stacking and folding. It features color and B&W printing, automatic roll trimming, media load assist, large capacity toner cartridges, and integrated folding, finishing, and stacking. The KIP 800 Series operates up to 2,880 square feet per hour (sf/h) in color or 3,600 sf/h in single pass black. The RICOH MP CW2201SP is a full color and B&W MFP for AEC and CAD industries. It offers high-resolution scan, copy, and print capabilities. The 36-inch device reaches print speeds in full color up to 2.1 ppm and 3.8 ppm in B&W. A clamshell configuration offers front access to paper rolls and ink cartridges and an attached paper basket collects and stacks printed output. Advancements in collaboration and connectivity help AEC, CAD, and GIS professionals with technical printing needs. With the ability to copy, scan, print, and share documents across a variety of platforms, technical printers are increasingly important in technical environments. In part two we feature a land survey firm that uses digital technical printers to produce maps and surveys.